High-speed display of CAD data. 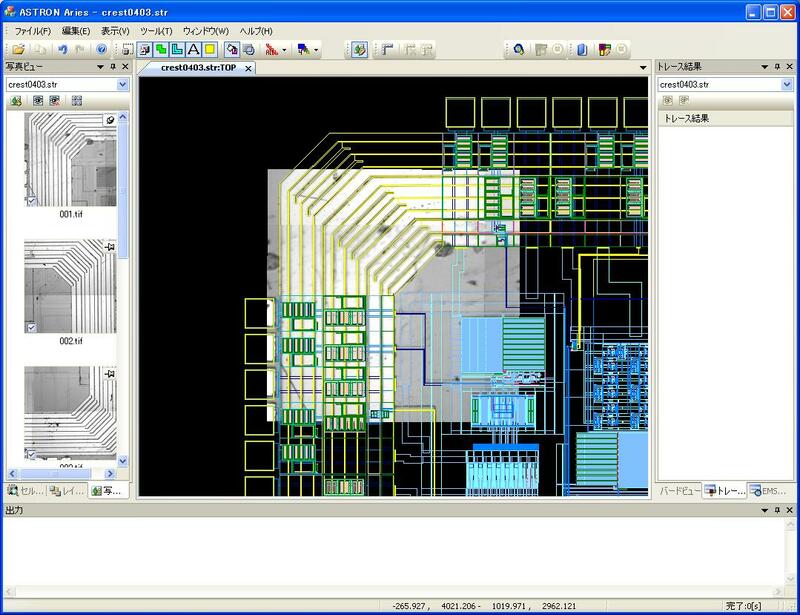 Overlay Display of CAD data and microscope image. Automatically layouts multiple images of emission microscope on CAD data. Aries runs on personal computers, so the worker doesn't have to occupy the emission microscope for a long time. Aries cooperates with CAD navigation systems, synchronizing the data of suspected failure locations. User-friendly GUI enables users to work efficiently when making reports, etc.